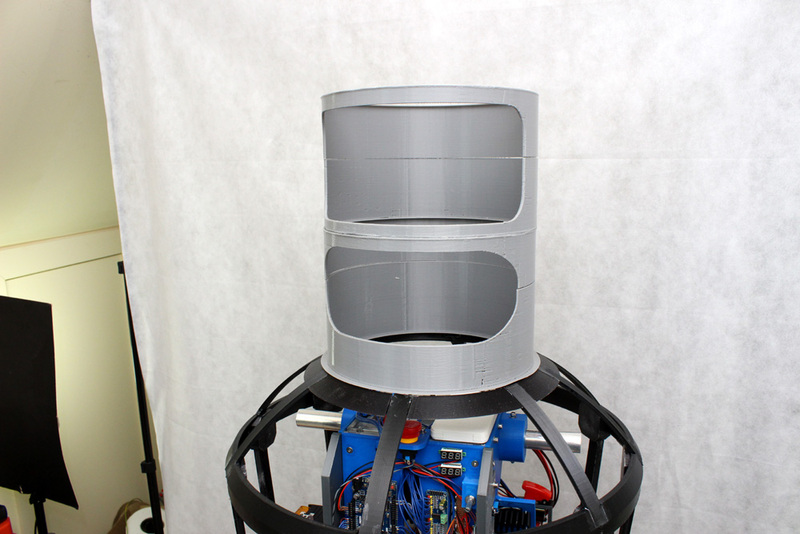 This article is about building Bender the real robot on top of the Robot X walking robot. 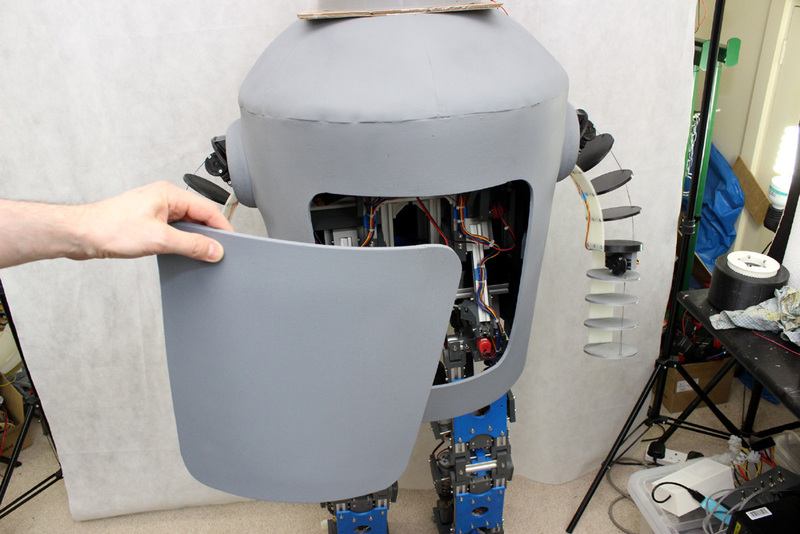 There are some YouTube videos about this section, or scroll down for pictures and words. 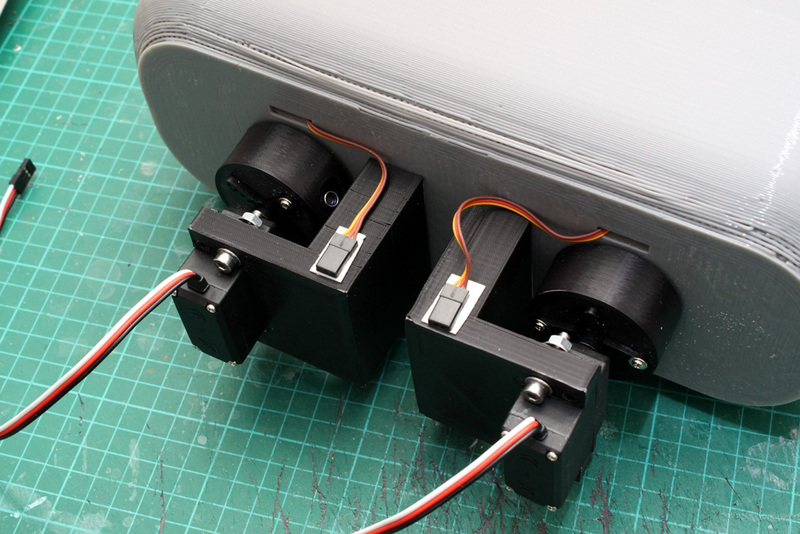 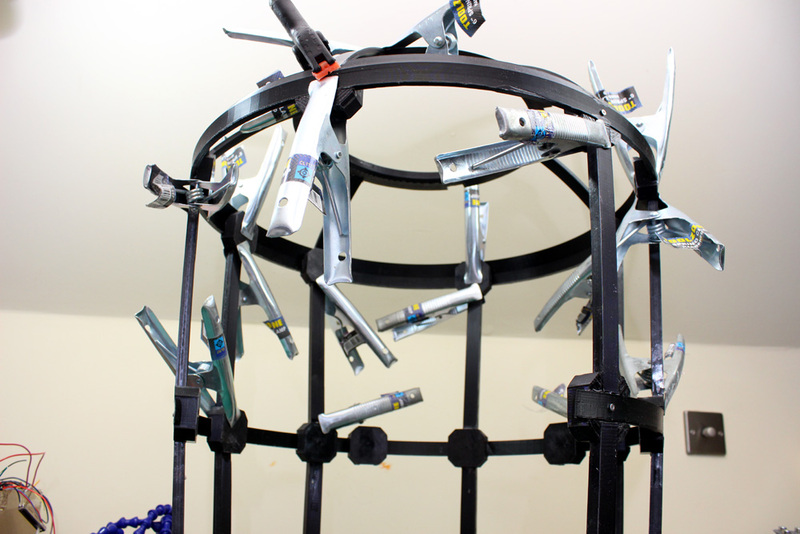 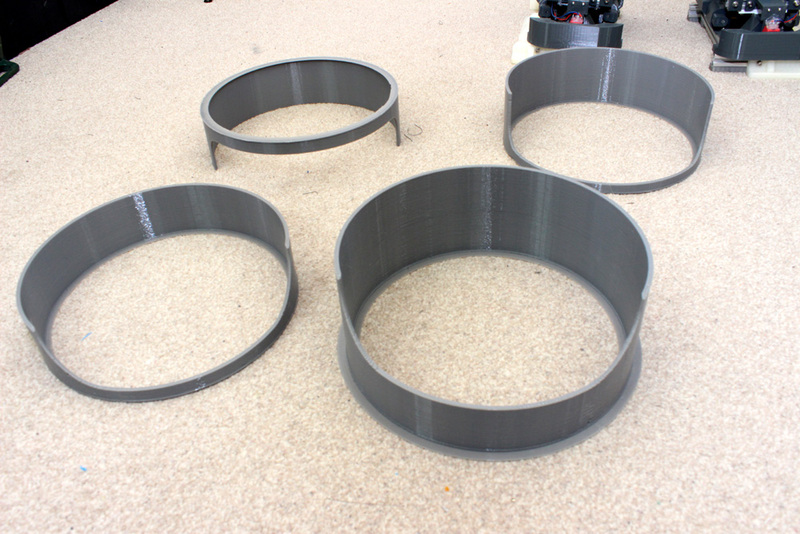 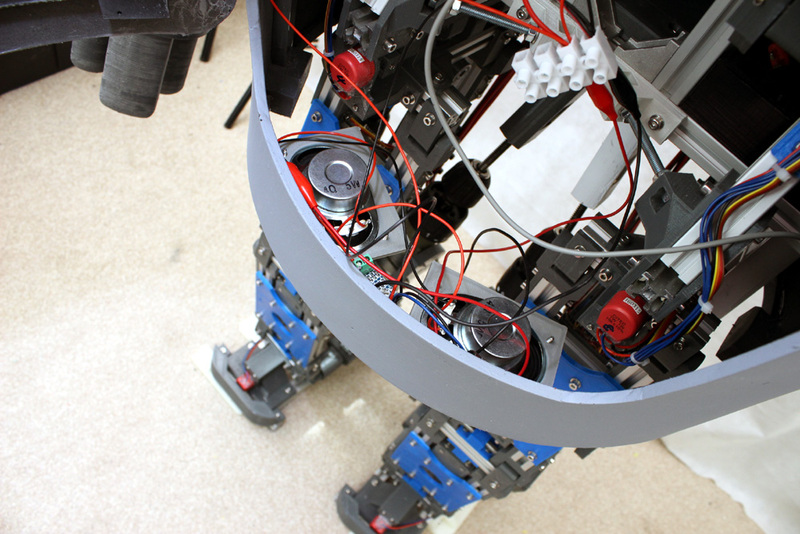 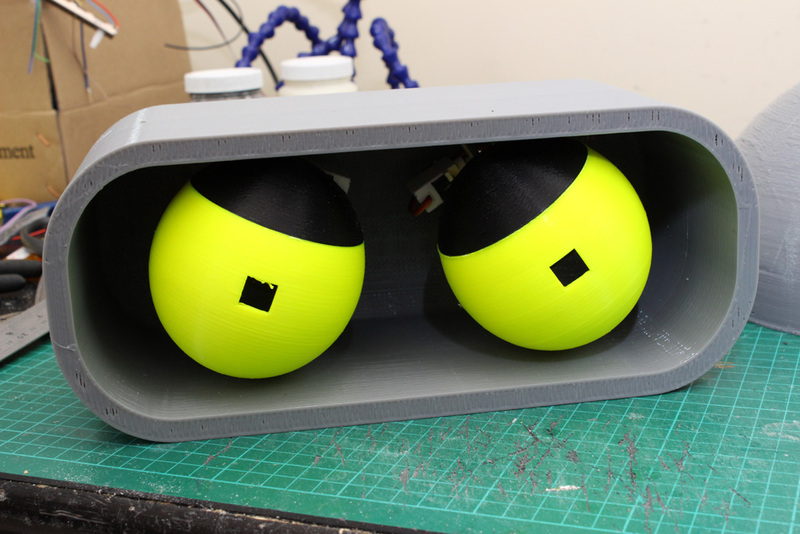 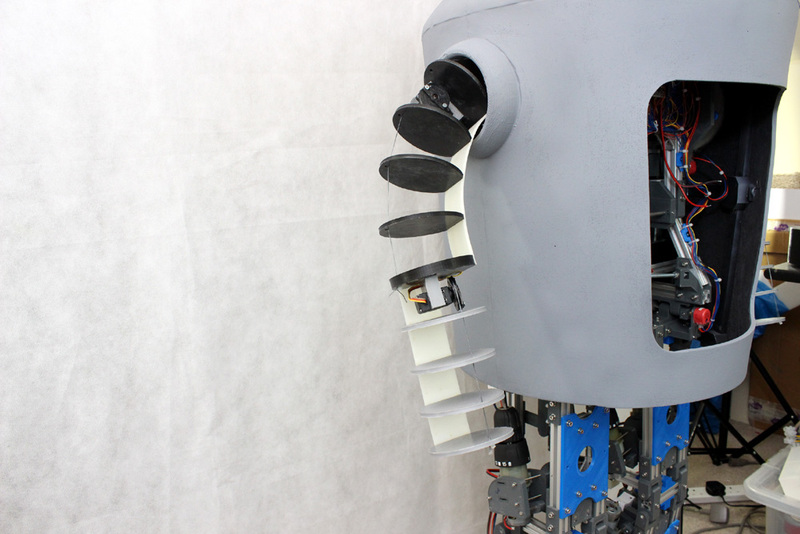 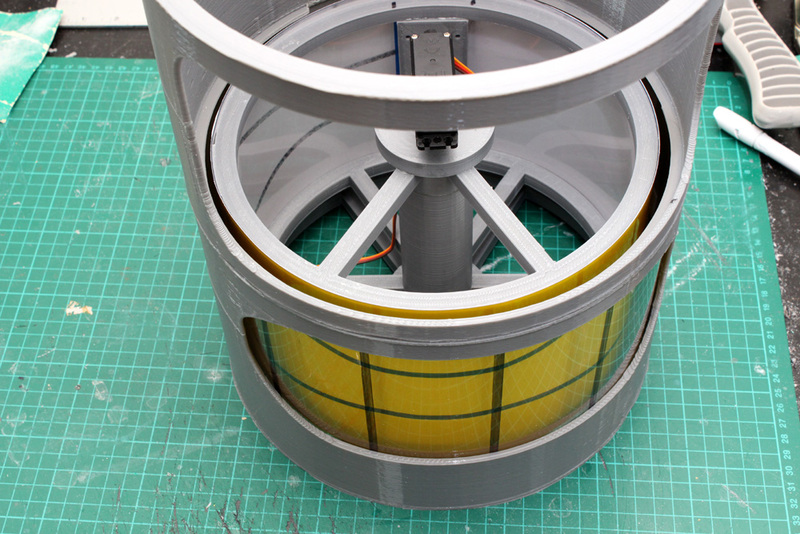 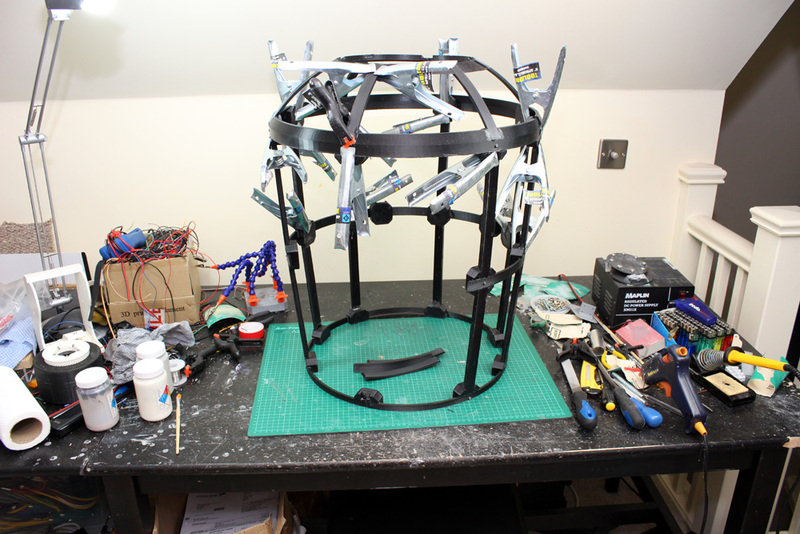 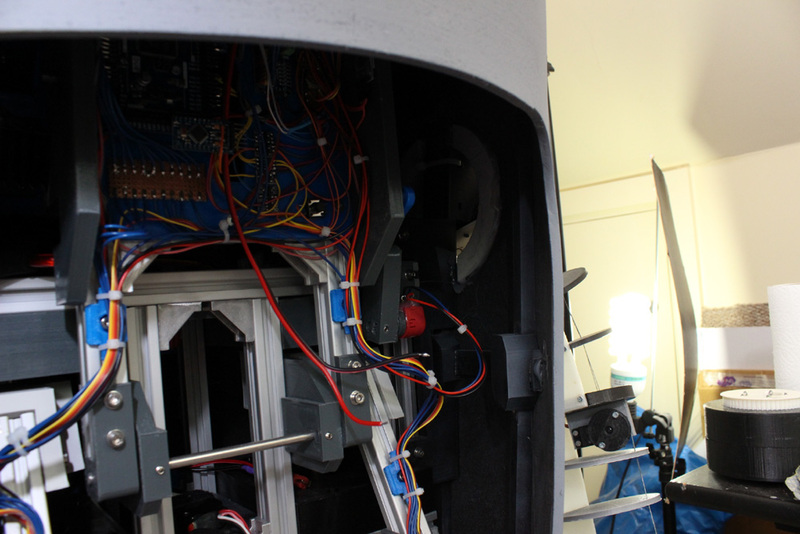 Bender’s head is animatronic – I’ve built eyes which each have a servo to rotate them and also move them up and down. 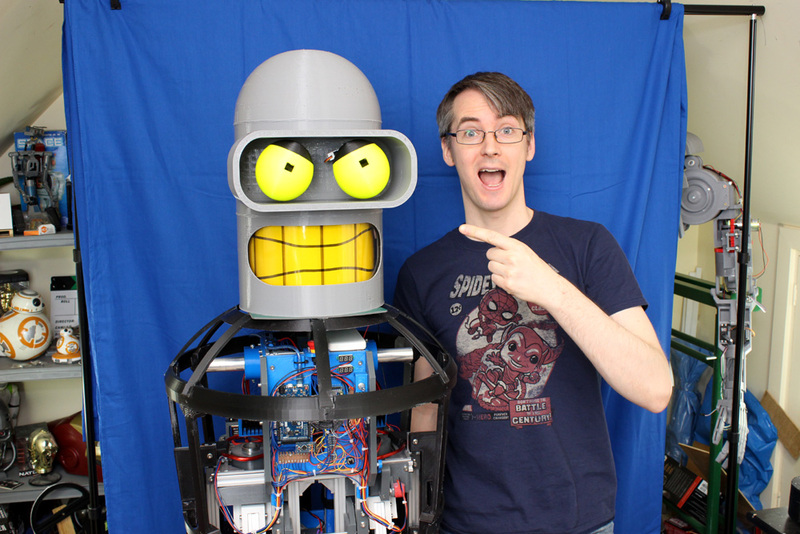 This gives Bender quite a range of facial expression. 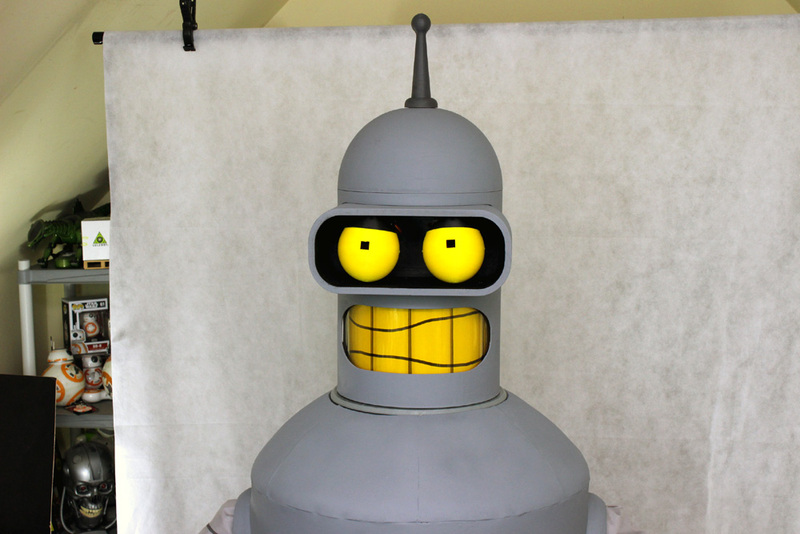 Bender’s mouth is made from a motorised barrel that turns inside the hole in the outside – the teeth are drawn on clear acetate which stay stationary. 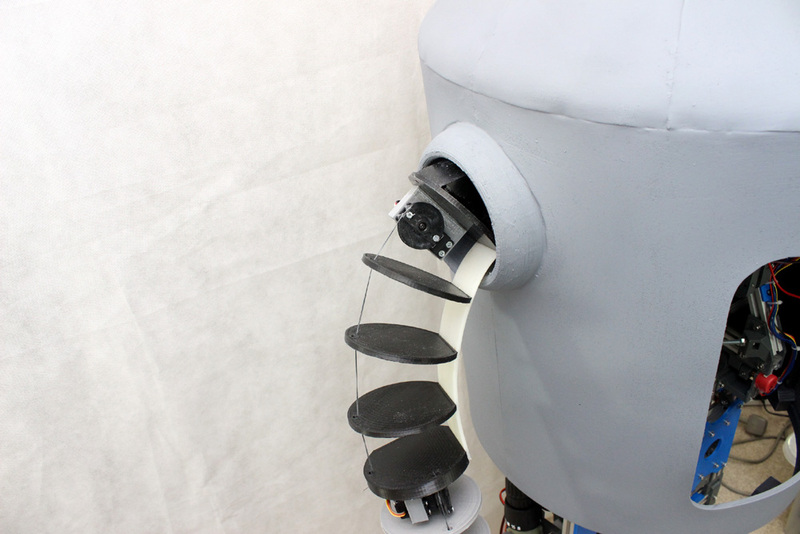 Check out the video above to see the action! 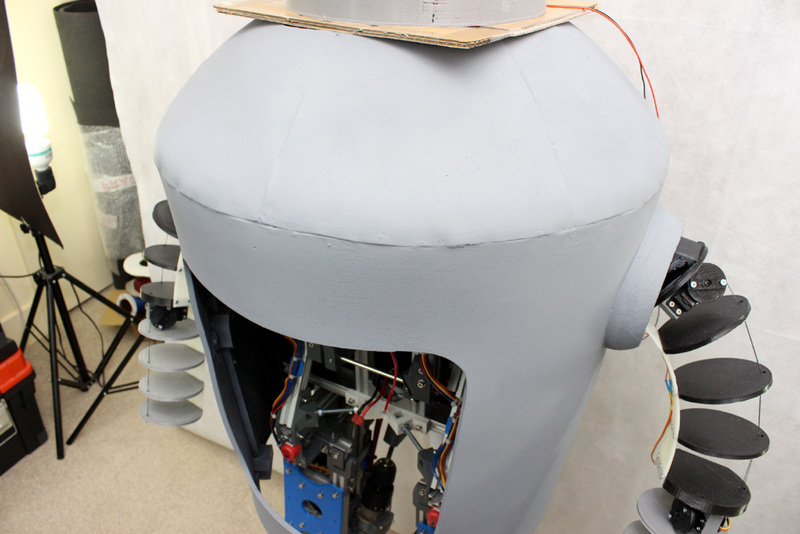 I’ve skinned the body up with 6mm foam LD45 foam, which has been painted and sealed with PVA, plastidip, and automotive primer. 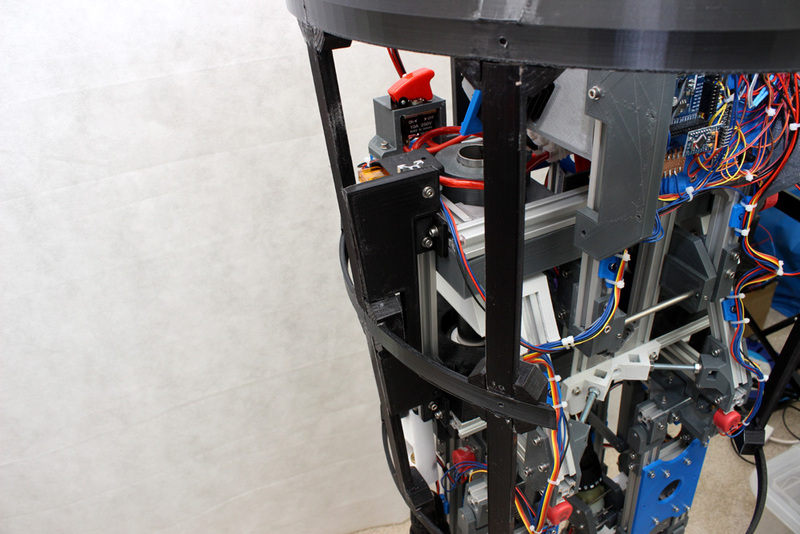 The door has a separate frame part behind it. 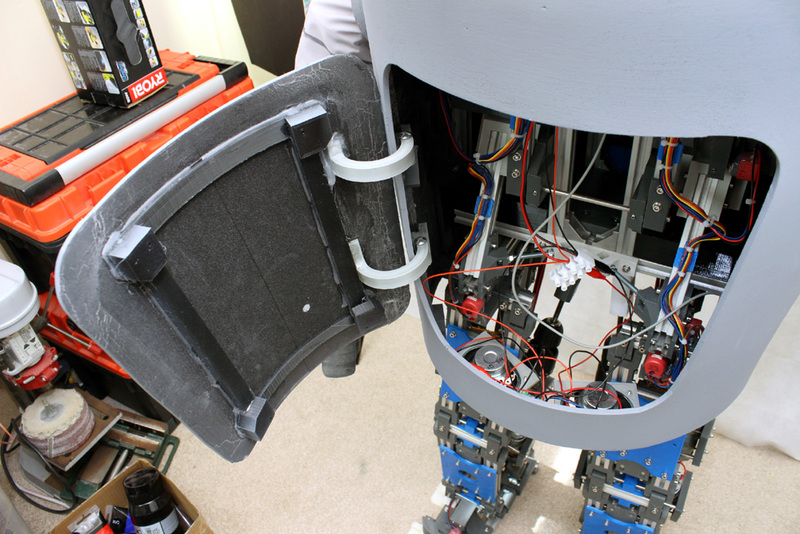 The arms are made from a 3D printed nylon section which is slightly flexible, and ABS discs which are pulled by servos and string to make two joints in Bender’s arms. 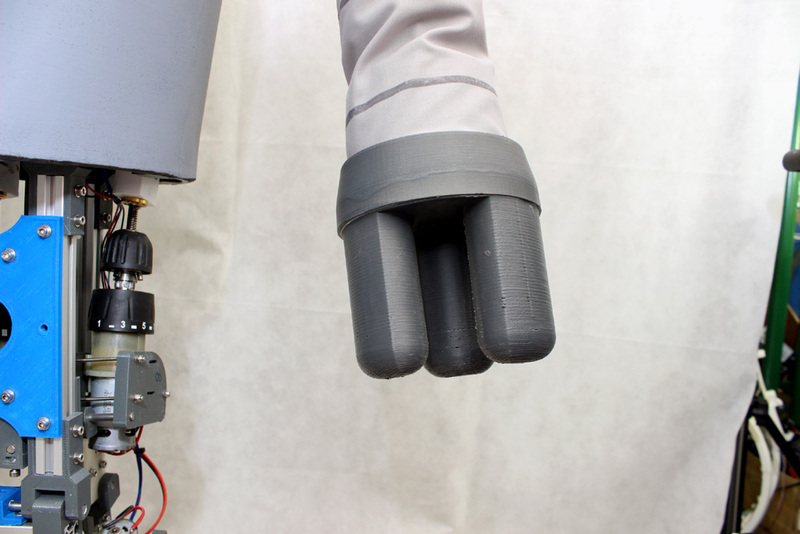 I made Bender’s hands out of 3D printed Ninjaflex glued to ABS part. 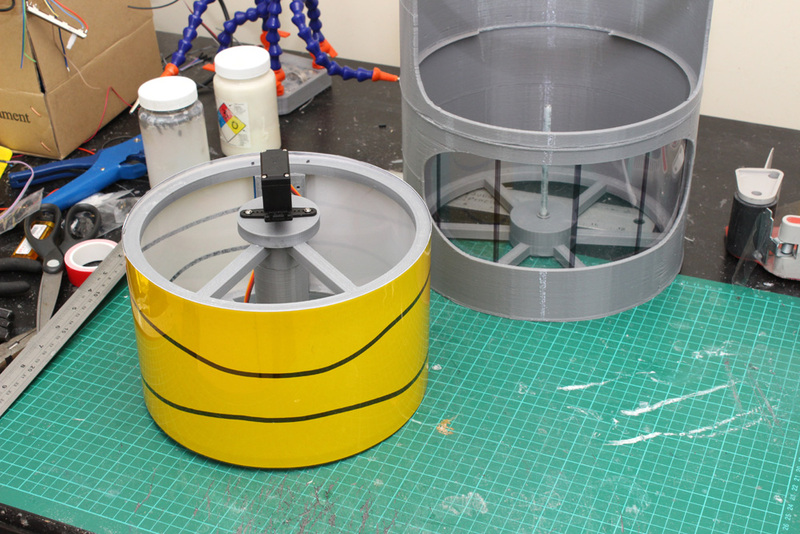 The whole thing is painted with Plastidip rubber. 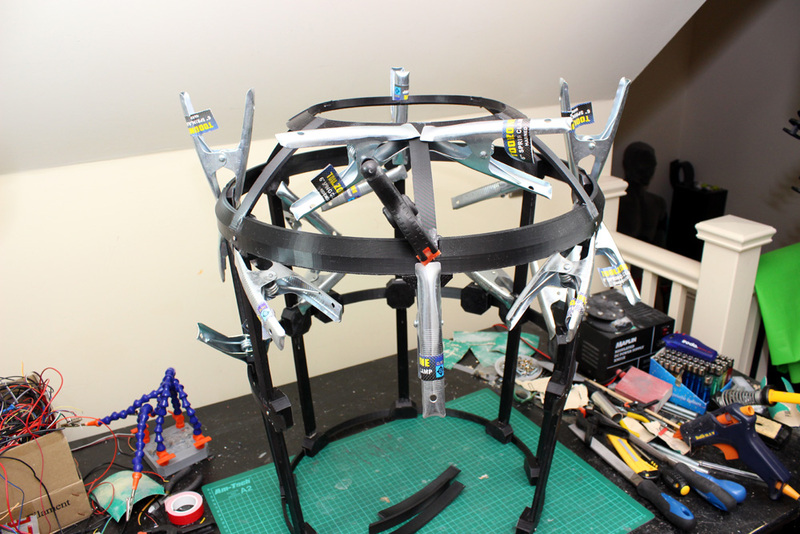 This will allow Bender to grip things quite tightly such as beet bottles. 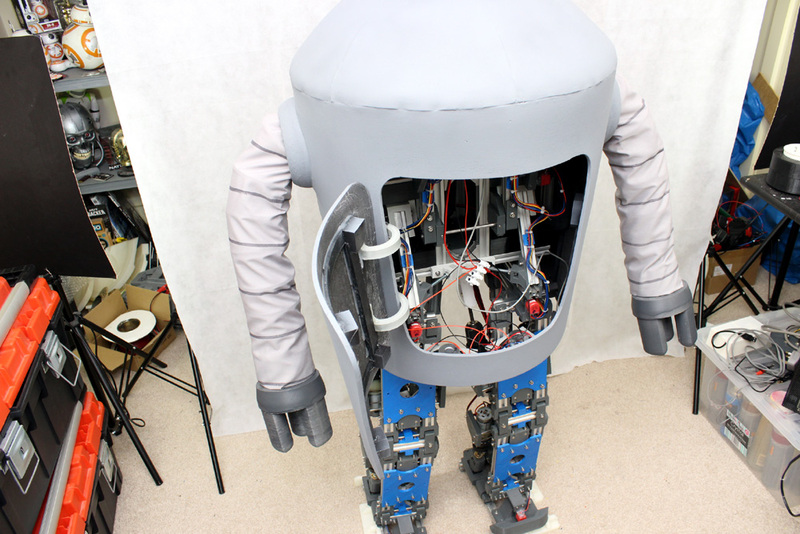 I’ve added speakers in Benders body so he can speak! 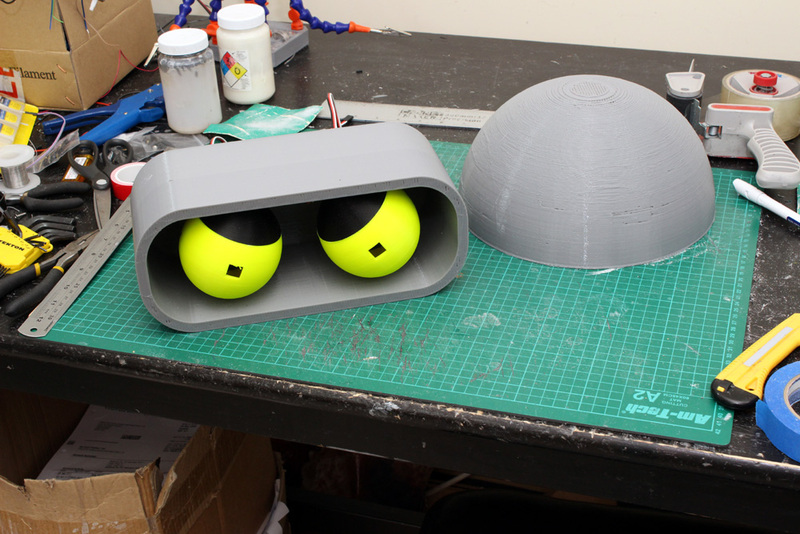 I spent a while sanding and smoothing Bender’s head and matching the eye & mouth colour. 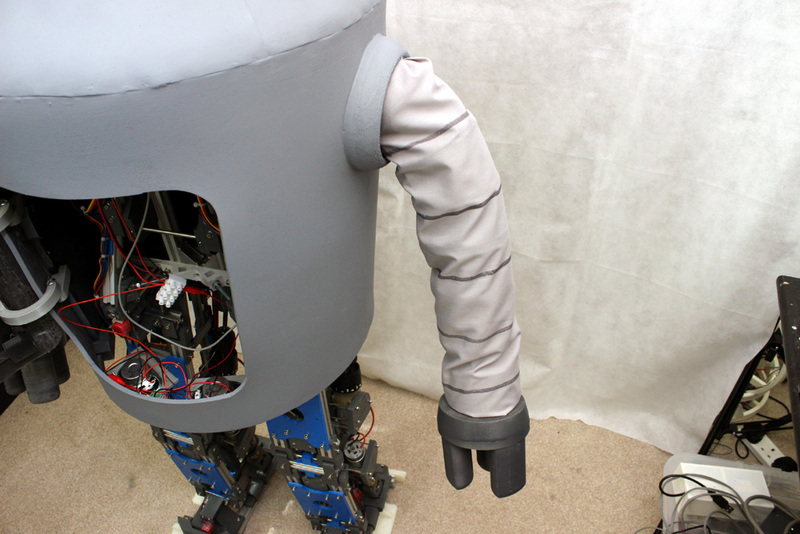 Bender’s arms are covered with fabric – I drew lines on with a black marker. 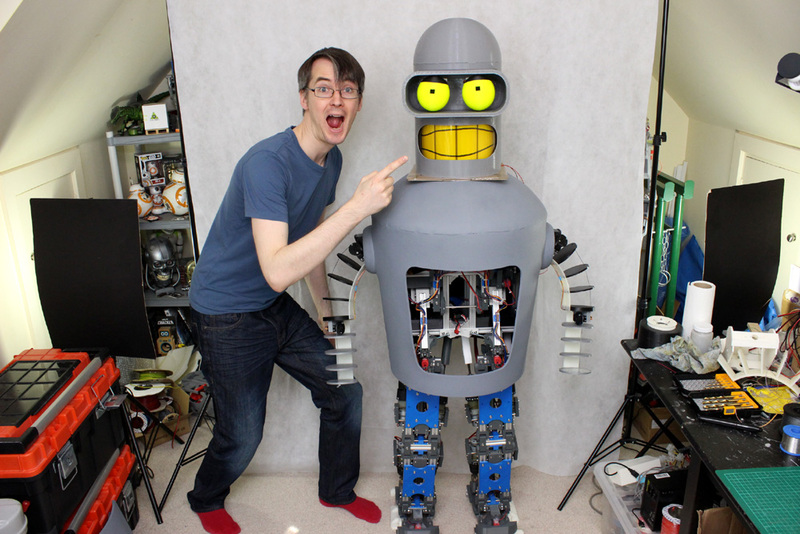 Check out the video above to see bender move and talk. 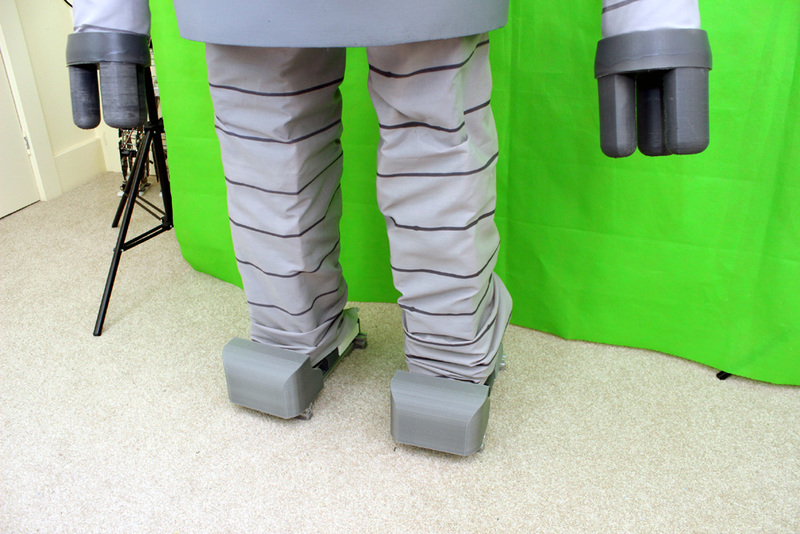 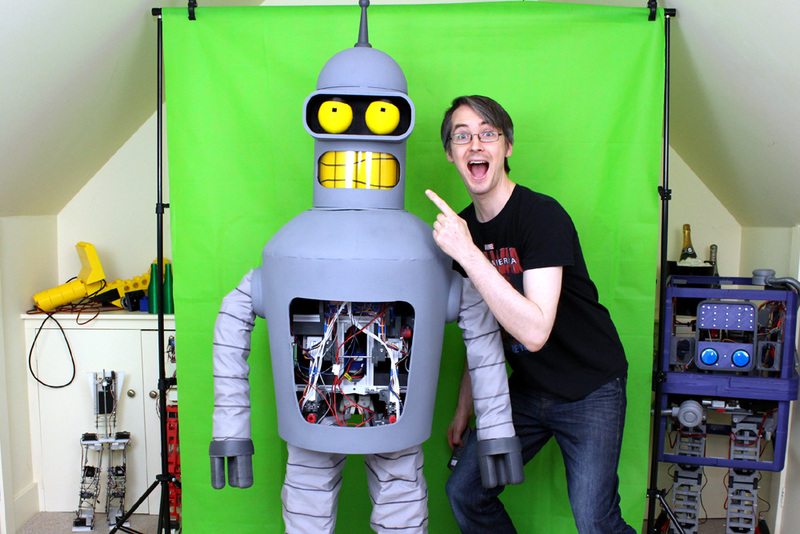 I added Bender’s trousers and made him dance – check out the video above!